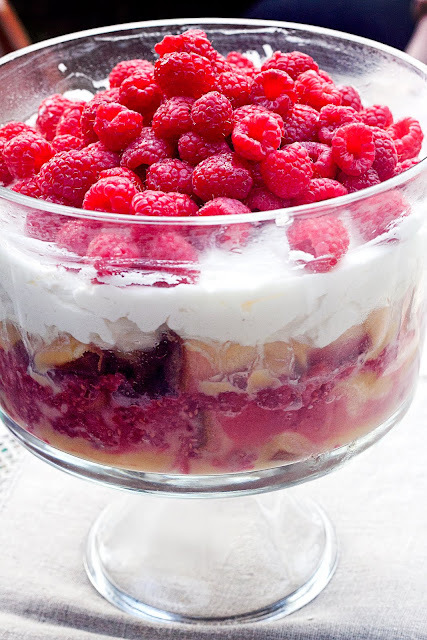 I made this gorgeous and incredibly easy raspberry and lemon trifle for the Easter dinner with our family. A good friend passed this recipe along to me a few years ago and it's now my go-to spring and summer dessert when I have to feed a crowd. Over the years, as the girls have entered our lives, I've made some shortcuts. But seeing as everyone cleaned their plates last night, I would have to say the taste is just as good as the from scratch version. And it took me no more than 15 minutes to make this beautiful dessert start to finish, can't beat that! Cut cake crosswise into 8 pieces. Cut each piece into 3 strips. Line bottom of 3-quart trifle bowl with 8 cake strips, trimming to fit. 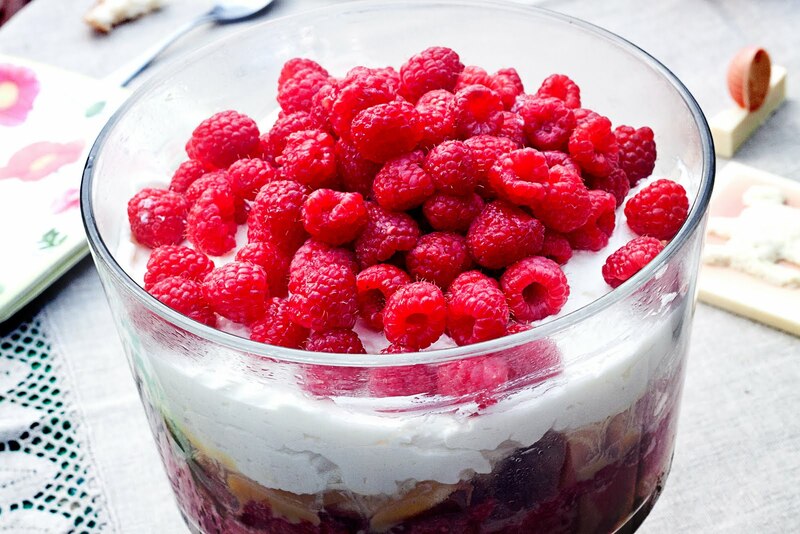 Drizzle with 3 tablespoons Limoncello; spread with 1/3 cup curd, then half of mashed berries. Repeat layering. Top with remaining cake, Limoncello , and curd. Cover; chill overnight. Beat cream and 3 tablespoons sugar in bowl until peaks form; spread over trifle. Mound remaining berries in center and garnish with mint if desired. Note: If you don't want to use Limencello follow the link to the original recipe for instructions on making a lemon simple syrup. Hello, I just found you through a friend's FB page (she "liked" you). 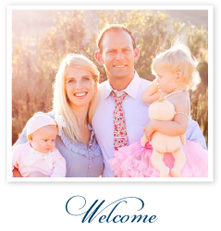 Such a fun blog! The trifle looks amazing, as does the individual berry pies, yum. BTW, I too am a proud Navy wife and a CA resident.